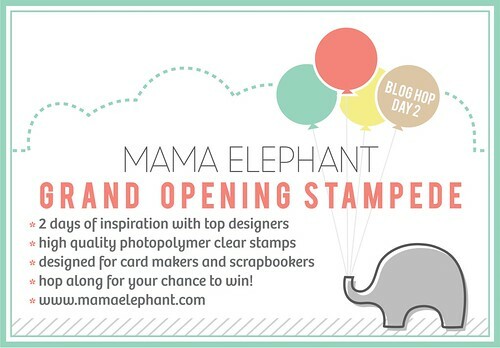 mama elephant | design blog: Mama Elephant Grand Opening Stampede - Day 2! Mama Elephant Grand Opening Stampede - Day 2! Welcome to the second day of Mama Elephant's Grand Opening Stampede! Angie and I are absolutely floored by all the positive feedback and outpouring of support we've received from our wonderful stamping community! A BIG BIG BIG thank you to all our designers yesterday! If you haven't seen it yet, scroll down a bit and get caught up -- they are not to be missed! We're celebrating by giving you 10% off your purchase with coupon GRANDOPEN! I decided to make a card today -- featuring our Holiday offers for this initial release, Believe in Magic and Polar Pals. They work magically together! All the critters in Polar Pals fit inside the snow globe -- yay! I love this card so much, I'm considering mass producing it for our official Christmas cards this year. I love that I can switch out the bases and the insides of the snow globe and make each other unique! I am dedicating this next card to all of you... hello from New York! Geotagged can be used for travel, adventure, or just saying hello. Why, isn't it just perfect to send to your crafty friends from around the world - if you're a US resident - sorry Internationals! (We <3 you too! :) But wouldn't you just love to receive something like this? You can hand-write your location and then stamp the geotag image where you are on the map. Fun! Fun! Fun! That's all from me today, now I get to send you across the pond to my beautiful friend, Miss Lucy Abrams! Here's the full lineup for today -- chocked full of talent!! Have fun hopping today and come back tomorrow for the Design Team reveal and even more chances to win! All winners will be announced right here on Monday 10/15! Good luck! Great cards!! I love the snowman globe! these are so cute...i love the snowman globe...totally adorable..
Oh the snowglobe card is to die for! LOVE! I love both of these cards but, seriously, that snow globe is too fabulous!! omg! both cards are amazing!! LOVE all of your stamps! seriously! that snow globe is so cute!! eek!!! These are such super cute cards! 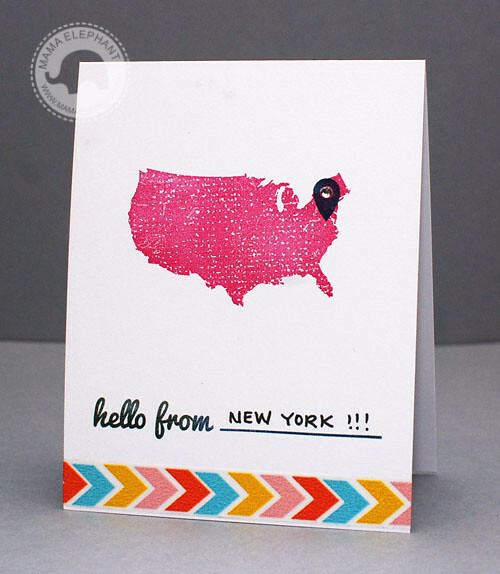 I am so loving that US map stamp! Great cards! Loving the new sets and can't wait to see what everyone created today! Awesome cards, Kryssi! I especially love the penguin in the snow globe! 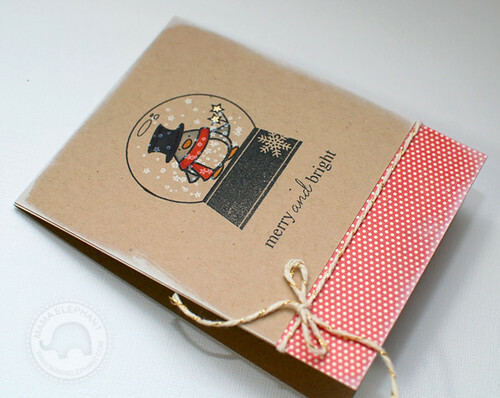 Love both your cards, the US map stamp is great, very cute snow globe!!! Love the US map stamp, it's great and the snow globe is so cute!!! So cute, love the snow globe! Cute cards...and LOVING your new stamps! Will be purchasing very soon!! Congrats on another inspiring day of cards! These are absolutely adorable, loving your new stamps. That little penguin is the absolute cutest thing! I'm loving your stamps. 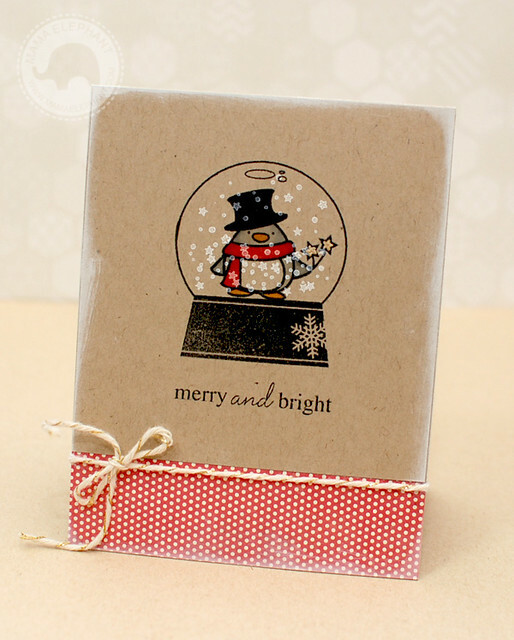 Great blog hop the images, sentiments all the lovely DT works were great. I can see why the stamps are so well loved. I can see there are some that I for sure want. Love your images. I don't know how I am just now hearing about you, but I am LOVING your designs! Fabulous work. "Trifecta" jumped in my cart immediately and I can't wait to play with it :) Beautiful work, by both you and your DT. Oh my goodness! That penguin is SOOO cute! and Iwona---LOVE reindeer and stars----Great snowglobes! love the new sets and all the inspiration in the hop!! Happy to see your big talent shining through with your new stamps, Kryssi!! Congrats on the 2nd day launch! Love love the new Geo set and how you've used it here! Hello from Washington:) Love your cards...off to hop!!!!! Lovely release!! I can hardly wait for the order I just placed to come. Both cards are so great, but I especially love the first one with the snowman in the globe. Everything matches so well from the kraft background to the pretty patterned paper! Very creative projects on the blog hop! another day of lovely projects! Love your stamps; still trying to get an order through. Neither of my browsers is cooperating! Hurray! Right after typing the comment above, the order went through. Can't wait to get the stamps! loving these hops - the snow globe set is precious. Great projects and great stamps! I am excited to see more wonderful clear stamps!!!! TFS! Gorgeous cards! Absolutely LOVE that cute snowglobe! Hi from a fellow New Yorker! I am loving what I seeing of your stamp line and cannot wait to try them out. Thanks for having the hop, so much inspiration for all these talented people! great cards. I love that U.S.A. stamp! Wow, what a Stampede! Love seeing all the projects and I can see that a few sets may end up in my basket! I think your stamps have a uniqueness that will produce lots of sales for you. Thanks for the blog hops and the samples that give us a view of the stamps.